For residential or commercial walls, guaranteed to remain mould and mildew proof for at least 5 years. Zinsser Perma white Exterior Wall Paint is guaranteed to remain mould and mildew proof for at least 5 years. Designed to resist cracking, fading, peeling and blistering. Contains a biocide to protect against fungal degradation. Zinsser Perma white Exterior Wall Paint is designed for proofing against mould and mildew and works to withstand moisture damaging the surface in harsh conditions that are prone to getting damp. Zinsser Perma White Exterior is self priming and can be purchased in either white matt/eggshell or white satin to provide a safe and easy to use wall paint for Exterior walls. Formulated from an ultra low odour solvent-based formula. Perma-White Exterior can be tinted to off-white, pastel or medium earth tone colours that are fade resistant. Zinsser Perma White Exterior Paint is great for any Residential or Commercial Projects and is guaranteed to remain mould and mildew proof for at least 5 years. Zinsser Perma White Exterior is best used on homes, motels, hotels, hospitals, schools, restaurants, basements, cladding and other areas where there is high humidity and moisture content that cause damage to the surrounding walls. Zinsser Perma white Exterior can be applied using brush or roller and requires two coats of application to ensure you get the maximum performance. Perma White dries quickly ready for a recoating in two hours so after just 2 hours you are left with a touch dry surface. Zinsser Perma White Exterior is easily cleaned with soap and water and has excellent water resistant qualities. Also you don't have to worry about cracking or blistering. 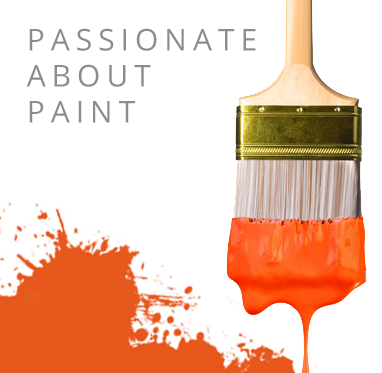 This paint has a coverage rate of 10m2 per litre per coat. Zinsser Perma White Exterior is a mould and mildew proof designed specifically for exterior use in areas where moisture is of a real concern. Basements, Hotels and Restaurants are great examples of where Perma White should be used to help protect the walls and keep them looking healthy and sharp even in extreme conditions. Perma White is also suitable for application to Aluminium, PVC, Copper, Galvanized metal and also steel. Tintable: Tintable to off-white, pastel and medium colours. Please note, bespoke tints are non refundable / exchangable. paintable surfaces. Perma-White® will adhere to gloss or semi-gloss paints, existing wallcoverings, ceramic tile and similar glossy surfaces without prior sanding. Offers a life expectancy of 30 years and exceptional level of protection from the elements. A low solvent mould-resistant hygienic coating for walls & ceilings in Brewerys, Cellars and areas of high humidity.